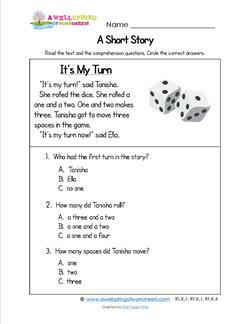 Go to this page for more kindergarten reading worksheets. 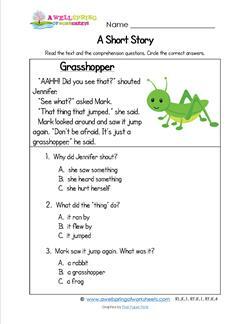 This short story for kindergarten gives a few facts about ants and how and where they go. I don't want them crawling on me! 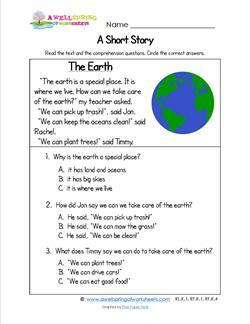 Need some ideas of how to take care of the earth? Look no farther! 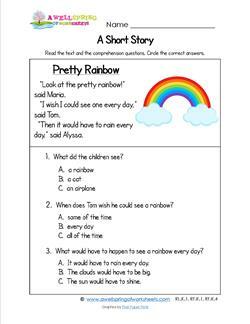 You'll find some ideas in this kindergarten reading passage. 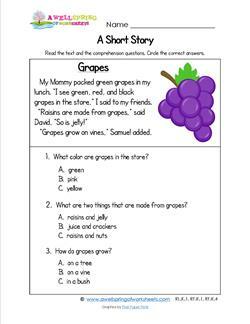 In this kindergarten short story kids talk about grapes - the colors they come in, what is made out of them and more! 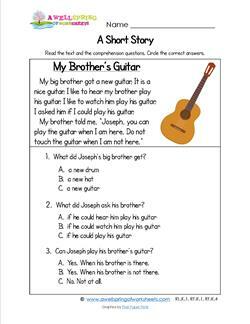 Here's a kindergarten short story that's been a conversation in most homes. "What do you want on your hamburger?" 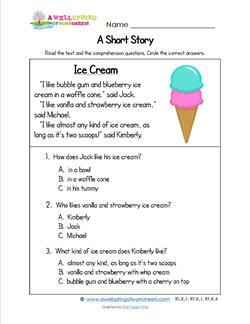 We couldn't have a set of kindergarten short stories without one about ice cream! Two scoops please, in different flavors. 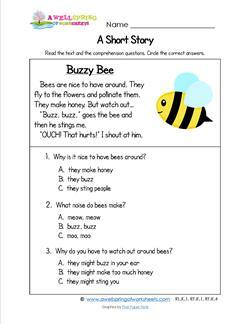 These kindergarten short stories reflect real life. "It's my turn!" is often shouted by kids in their game-playing enthusiasm! What kid doesn't like ladybugs? 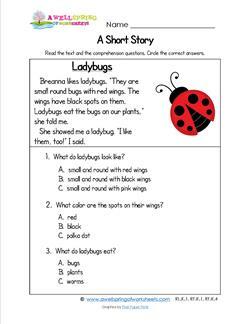 This short story for kindergarten has two kids talking about ladybugs, what they look like and do. Kids just can't take "No!" for an answer, can they? 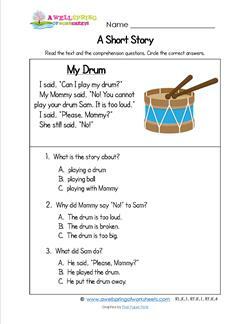 This short story tells why Mommy says no to Sam's request to play his drum. Daniel and John are playing with Daniel's new plane. What kind of plane is it? 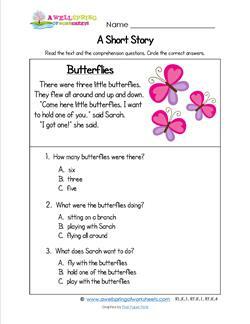 Read this kindergarten short story to find out! These girls have good taste! Pearls and black dresses look classy together. 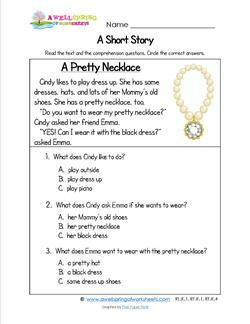 Read more about Cindy and Emma's dress-up time. Hands up if you like watermelon! 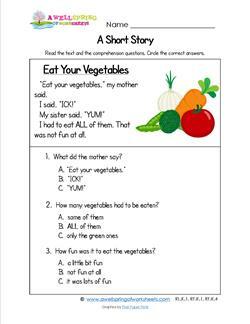 Katie and Ashley talk about some fun watermelon facts in this kindergarten short story. 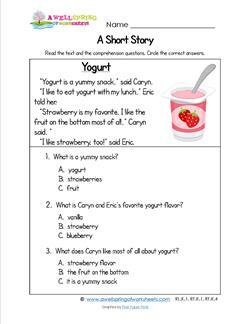 A kindergarten short story that celebrates a healthy snack! Caryn and Eric know what kind is their favorite. How about you?